Many workplace management activities are often confused for productivity. Someone may appear to be productive when in fact they are just busy with activities, or ‘inputs’. Real effectiveness is defined by results, or outputs. Inputs are more about what Leader-Managers do, whereas outputs are about the measurable results they achieve. When leader-managers confuse the two, they can find themselves spinning wheels in a vacuum. Before we begin to evaluate whether a person is effective in their job, we must first define what their job is in terms of results and “outputs”. Imagine telling an employee to “Make their presentation better.” With these instructions, you might receive a presentation full of pretty images, but the key messages for the intended audience have been lost or were never there to begin with. Job descriptions are often no different – providing an ambiguous list of duties for which an employee is responsible. When we fail at clearly defining roles and outputs, we can’t expect leader-managers to deliver on the results that matter. To measure effectiveness and evaluate performance objectively, we must first list each of the outputs intended for the job to deliver. Let’s look at the role of an Insurance Broker Sales Manager as an example. A job description for this role might sound like: Forecast sales & expense budgets; Foster relationships with internal partners, corporate representatives, agencies, vendors and clients as necessary; Organize and manage work flow between departments; Determine commission schedules and a favorite: other duties as assigned. The duties of the Sales Manager will vary from company to company. But the vagueness of some descriptions of an Insurance Broker Sales Manager’s actual functions makes one’s head spin: “Organize and manage” “Foster relationships.” How do these translate into results an organization can measure? Let’s look at how these tasks translate into outputs. To do that, think about why a Sales Manager role exists within an organization. The answer is straight forward – the role exists to get the sales team to generate sales, resulting in increased revenue for the organization. With the three outputs identified for this role, we are now ready to list the results required for this role to achieve, supported by clear measures of success to evaluate the extent to which they have been achieved. Sales may be measured by the volume of revenue sales brought in – the target quota this individual is responsible for generating. A second measurement for the success of Sales may be the closing ratios. New Business Development may be measured by percentage of market share in a new market. Customer Retention may be measured by number of renewals and satisfaction survey scores. The Sales Manager can now use elements of their job description to define activities they’ll need to complete to achieve these results. With a clear view of the results, they know what their outputs should be. This will give them a good focus on getting the right things done in an efficient way. It also allows them to activate their team by aligning their activities towards the same results that sales need to deliver on. By first defining the outputs required of their role, the path to effectiveness becomes a lot clearer for any leader-manager, whether they are in Sales, Marketing, Operations, HR…etc. The next step includes defining and recognizing what real effectiveness is and what it is not. Effectiveness is not looking busy or being popular, though those might be natural outcomes. An effective leader-manager gets the right things done to produce the results they were hired to deliver. The second condition is for the leader-manager to be open and willing to learn and pick up new disciplines. They would need to establish a defined structure for success. And given the right effectiveness methodology, every leader-manager can become more effective if they want to excel in their role. Having a clear road map to achieve real effectiveness is what makes the difference. Picking the right path will always lead to effectiveness and end with satisfaction, earned respect, and recognition. Effectiveness is more than an art. It is a science that’s much studied and tested in different fields. And the good news for everyone is that it’s never too late to pick up the discipline of becoming effective and even optimize team performance. No matter where you are in your career path, or job function, effectiveness can be learned and practiced with ease. 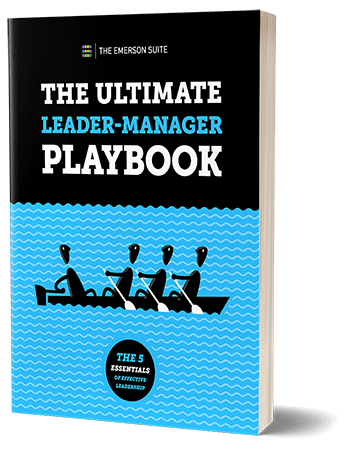 With clearly articulated role expectations, defined with outputs and measurable results in their team management system, leader-managers will know what to focus on in their journey to succeed. Deploying the right team optimization platform and effectiveness model supported by a practical and proven methodology will make that journey a lot easier to navigate and the destination a lot more rewarding to reach.